HELP!! I've Got Prospects Stuck In Pipeline and They Can’t Get Out! Are your prospects stuck in your sales pipeline? Sales pipeline management is a highly controversial subject these days. Opinions vary widely on the most effective ways to accurately define and measure a sales pipeline, keep prospects moving forward, and increase both sales pipeline volume and yield to achieve sales goals. 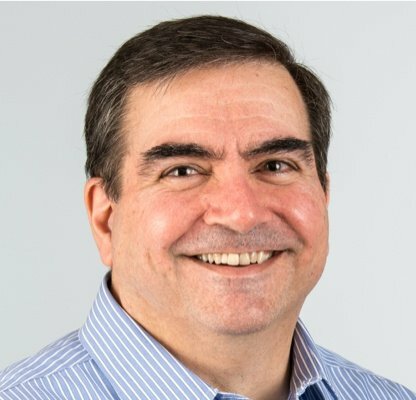 The core of this debate, however, revolves around the dual challenges of promoting steady progression through the pipeline and restoring forward momentum if that progression stalls and prospects become stuck in the sales pipeline along the way. 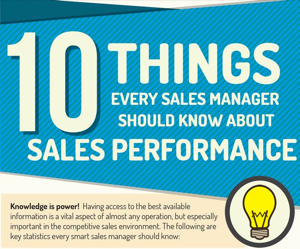 The infographic “10 Things Every Sales Manager Should Know About Sales Performance”, produced by The TAS Group in partnership with Salesforce Work.com, states “Only 46% of reps feel their pipeline is accurate.” This statistic supports the notion that there is significant room for improvement in the sales pipeline management strategies of most organizations. Are we attracting the right prospects? The key to a highly productive sales pipeline is filling it with prospects that have a genuine interest in your company’s products and services. Inbound Marketing methods increase the probability that interested buyers will find your website during the early stages of their online searches for information about their business problems. To attract the right prospects to your website and convert them into qualified leads for your business, implement an Inbound Marketing program with a focused and well-designed content strategy that addresses the specific needs of your target buyers. Do we offer compelling information about our company’s value proposition? 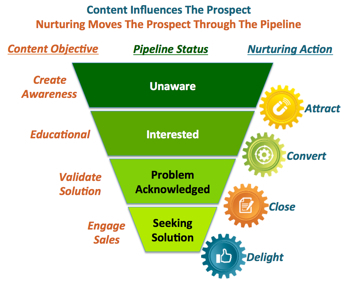 Once a prospect enters your pipeline, your lead nurturing engine takes over and offers content designed to educate the prospect and provide the information needed to progress through the purchase decision process. To preempt any objections that might come up and stall progress, the content must proactively handle objections that the prospect may be thinking but not actively voicing. By automating delivery of answers to common objections that are likely to arise, you are leveraging opportunities to assist the prospect and position your company as a trusted source of useful and timely information. Such anticipatory objection handling is performed via personalized email delivered directly to each prospect. If prospects are becoming stuck mid-funnel, take an objective look at your content and make sure it is relevant to prospects who already understand their business problems and are trying to learn what solutions are available. Offer content that explains your company’s value proposition in concrete terms using demonstration videos, ROI whitepapers, competitive price and feature comparisons, customer testimonials, etc. Push content that effectively differentiates your company from its competitors, giving your prospects tangible reasons to consider your company as their top choice. Finally, offer multiple opportunities and incentives for prospects to interact with your company via email, social media, online customer forums, sales events, etc., thereby encouraging them to continue moving forward through the pipeline. Are we accurately judging the sales-readiness of our prospects? Sometimes, prospects become stuck in the pipeline because they are simply not ready to buy. 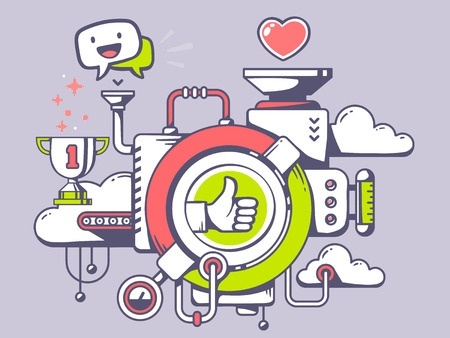 In this scenario, it is essential to continue the lead nurturing process in order to keep your company top-of-mind and prevent prospects from dropping out of the pipeline completely. Recognize the fact that prospects move through the purchase decision process at different paces to reach the point where they are ready to engage with your sales team. Effective sales pipeline generation and management are essential for consistent achievement of revenue goals. Inbound Marketing provides automated methodologies for accomplishing both of these objectives by attracting the right prospects for your business and nurturing them through the purchase decision process until they reach sales-ready status. If your prospects disappear into your company’s pipeline and never get out, please call us to discuss the specific ways in which Inbound Marketing and Inbound Sales can strengthen your pipeline and improve your business.